As Beacon Hill policy makers set about crafting a new education-funding scheme, developments of the last few weeks underscore the need to marry increased state funding with new accountability tools. One is a report that compares educational progress in Lawrence over the last seven years with the far less impressive rate of improvement in Boston — and emphasizes the importance of smart, status-quo-disrupting interventions in boosting school performance. A second is the news that New York City Mayor Bill de Blasio is abandoning a signature education initiative that emphasized more resources over reform, after a $773 million, multi-year turnaround effort targeting nearly 100 underperforming schools failed to produce anything close to the desired improvements. Its failure should be a warning for those in Massachusetts pushing for a big funding boost with no strings attached. A third is a revealing new e-missive that helps highlight the lack of seriousness that continues to characterize the Massachusetts Teachers Association, a union once influential in collaborative education policy-making. Jumping on one ill-conceived MCAS essay-topic instruction — a question the state has now tossed — MTA president Merrie Najimy and vice president Max Page last week sent out an e-mail blast urging MTA members to “flood the phone lines and inboxes of members of the Board of Elementary and Secondary Education to demand that DESE cancel the 10th-grade MCAS . 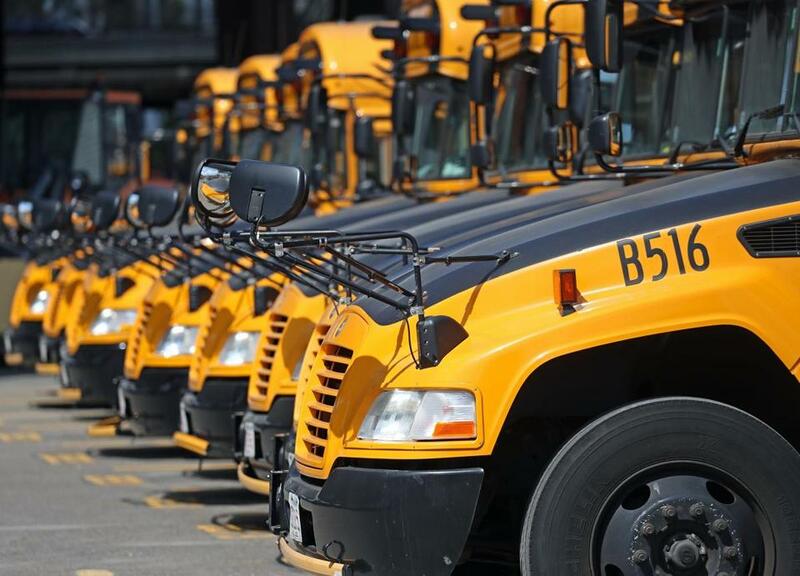 . . and implement a moratorium on high-stakes testing.” The transparent expedience on display in trying to use one MCAS question to further the MTA’s goal of eliminating the accountability cornerstone of education reform speaks volumes. The MTA, of course, is a leading member of the coalition demanding that new state education dollars come with no strings attached. All that should help focus the Massachusetts debate. Governor Charlie Baker wants new state aid to come with new policy tools — both carrots and (mild) sticks — to help spur change in struggling schools. For the wisdom of that approach, one need look no further than Lawrence. The Lawrence-Boston study, produced by Democrats for Education Reform, documents the impressive improvements the Lawrence schools have made over the last three-quarters of a decade, with only a relatively modest increase in funding. Once one of the state’s worst school districts, Lawrence has caught up to Boston on several key measures since it was put in state receivership in 2011. A 25 percentage point increase in its overall high-school graduation rate put Lawrence (71.7 percent) within a point of Boston (72.7 percent) in 2017. Lawrence’s four-year graduation rate for Latino students, at 71.9 percent in 2017, was almost three percentage points higher than Boston’s. And its graduation rate for high-needs students, at 71.3 percent, edged Boston’s 69.6 percent rate. By both national and state standards, Boston is a well-funded district. As the DFER report notes, the city’s 2017 per pupil school spending of $20,303 was well above the state average of $15,043, while Lawrence’s $14,887 per pupil rate was below it. Boston is obviously a much more expensive city in which to live than Lawrence; BPS teachers need, and deserve, to be well-paid. Still, the DFER report underscores the importance of governance and accountability in boosting educational performance and graduation rates. The report highlights a number of changes that were key to Lawrence’s success — among them, expanded learning time; school-management partnerships; empowered, mission-oriented principals; a more flexible teachers contract; and a shift of dollars and authority from the central office to the schools. As much as the education establishment wants a money-only approach, the experiences in Lawrence, in Boston, and in New York City show that money alone isn’t the answer. Important new accountability measures must also be part of any legislation that emerges.